A water main break can cause extensive damage to your home and property. 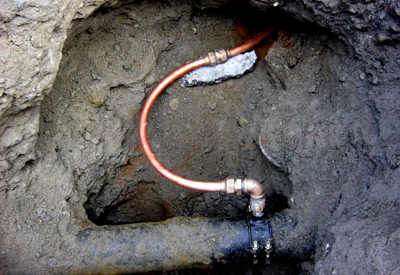 If your are experiencing no water pressure, water shooting out of your lawn, or dampness and puddling you may have a water main break or leak. Also if water quality is your issue and your existing service is made of lead or galvanized steel it’s time to update to a copper or poly service. What ever your need Terry Gallagher Inc. specializes in water main replacements and repairs, just give us a call and our knowledgeable staff with be there to help you.